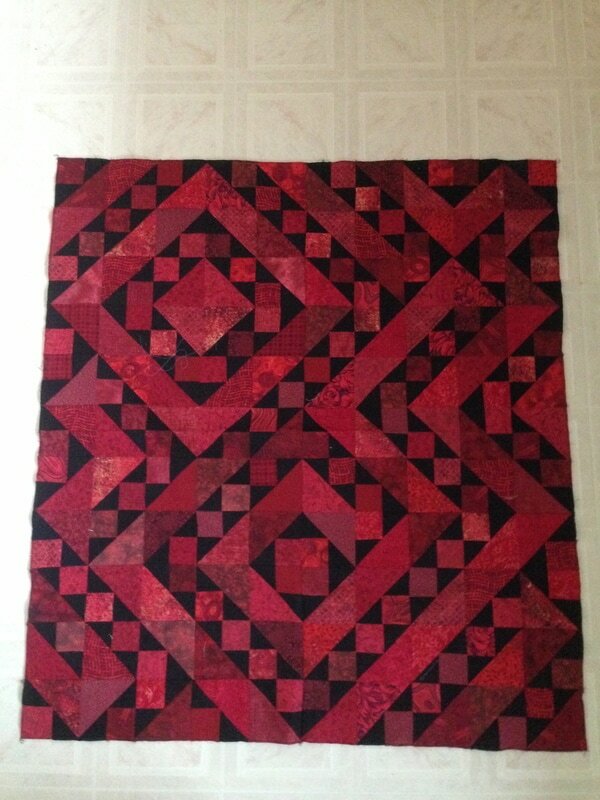 Jean's, Modern Square in a Square Quilt completed on the long arm- 100% Custom Quilted! 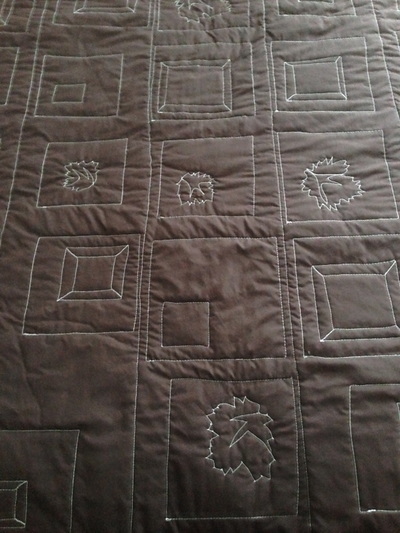 Quilts shipped from Germany by a customer, pantograph quilted, bound and labelled by quiltingintheloft.com to be picked up by family in the KW area. 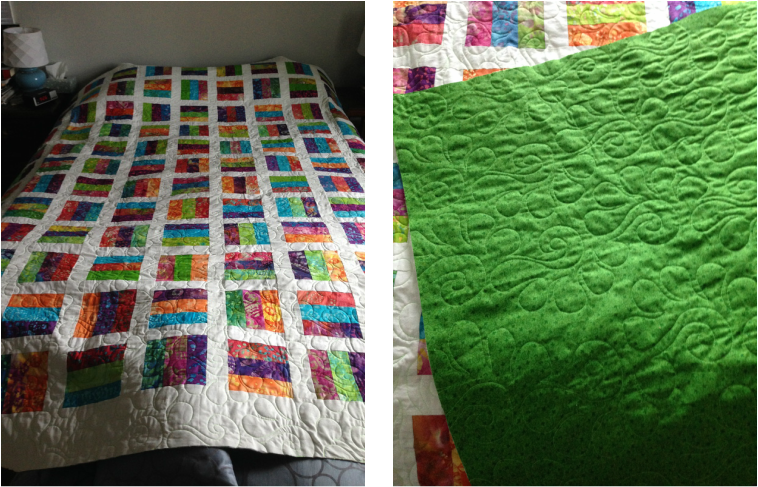 Lovely fresh looking quilts for 2 little girls! 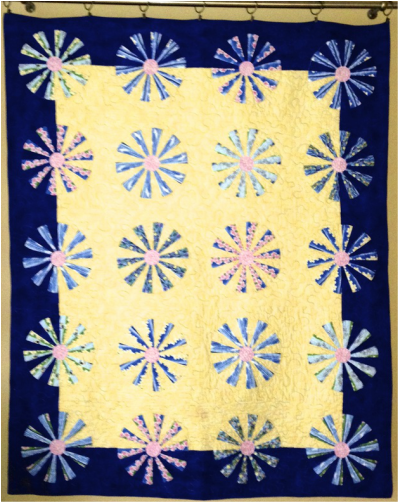 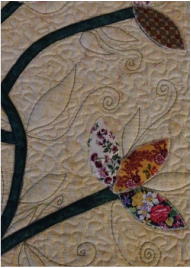 Summer Blossoms quilt - "10 Ways to Applique" class taught at Kitimat, BC Quilters Guild- this sample and small wall quilt was needle turn hand appliquéd, machine quilted and then hand embroidered to give it dimension. 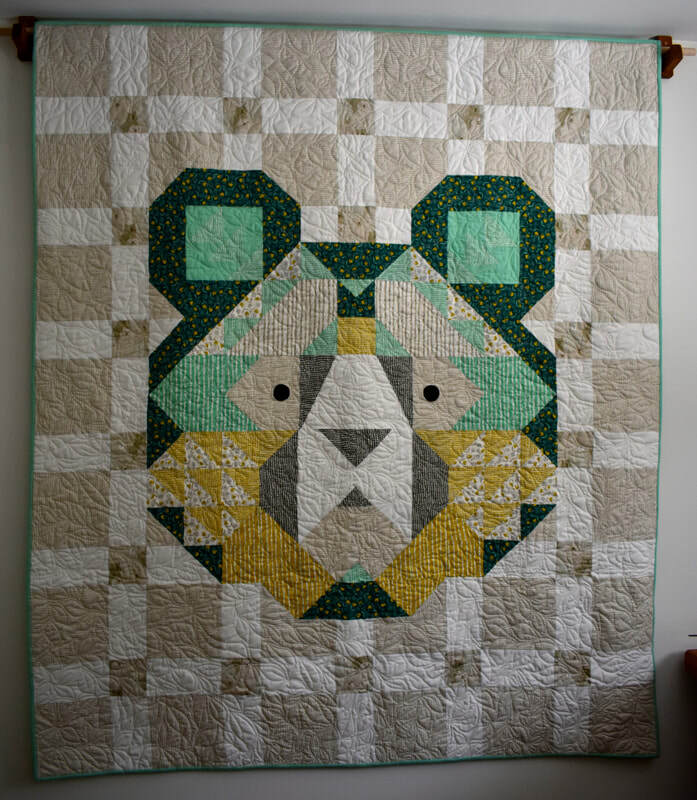 Background is squares of blues and greens pieced together on point. 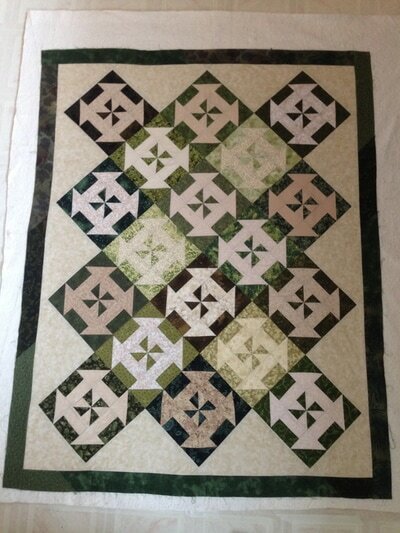 Commercial pattern by 4th and 6th Designs. 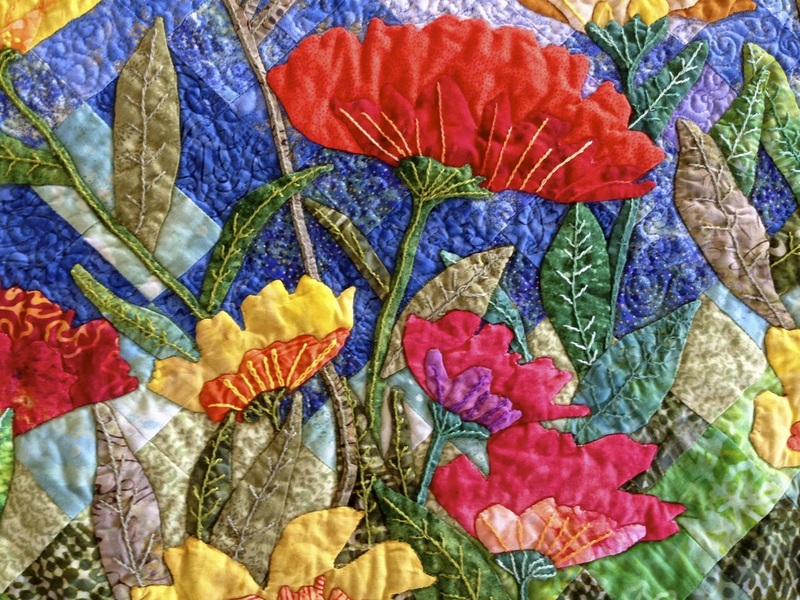 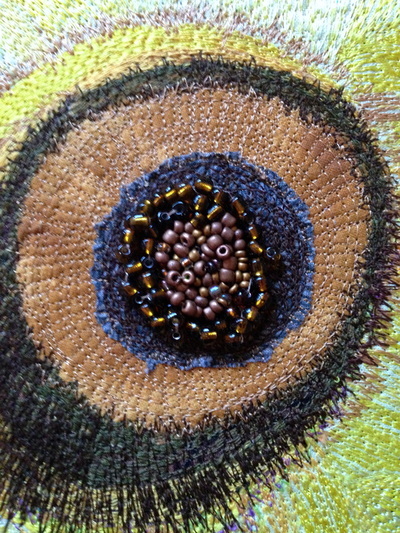 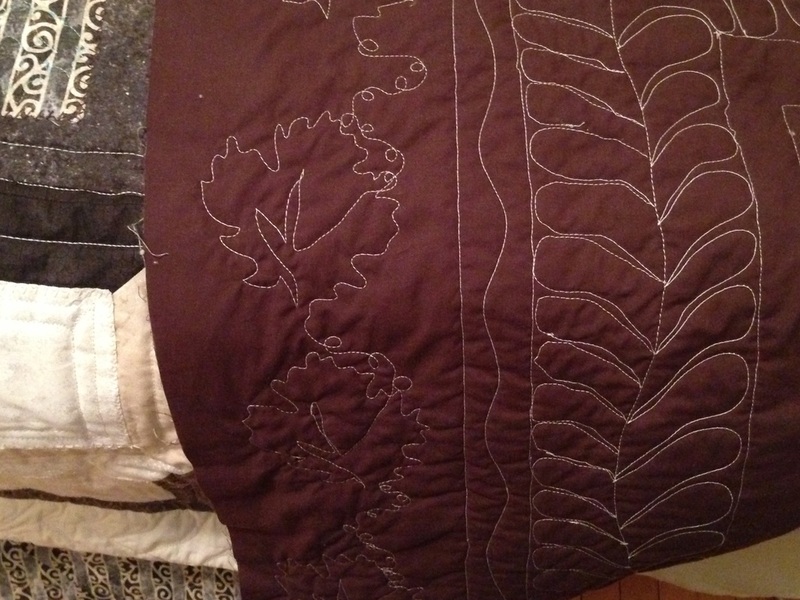 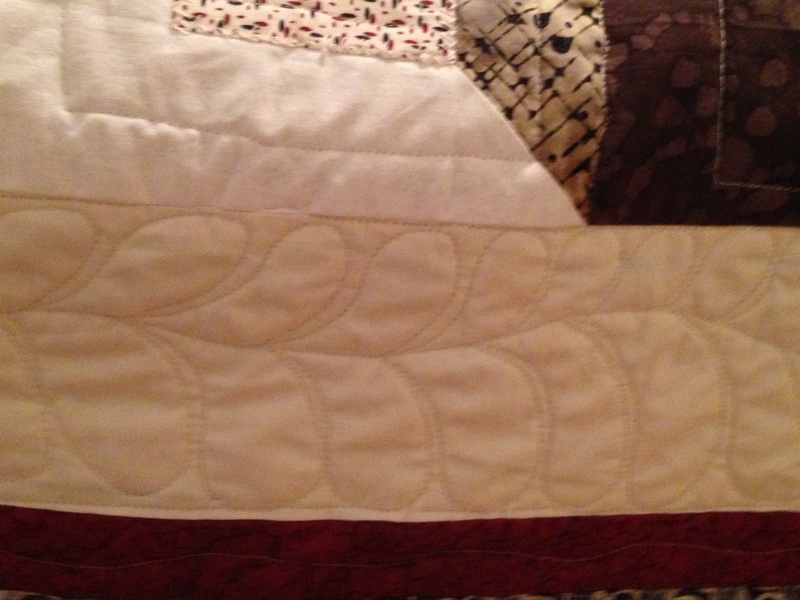 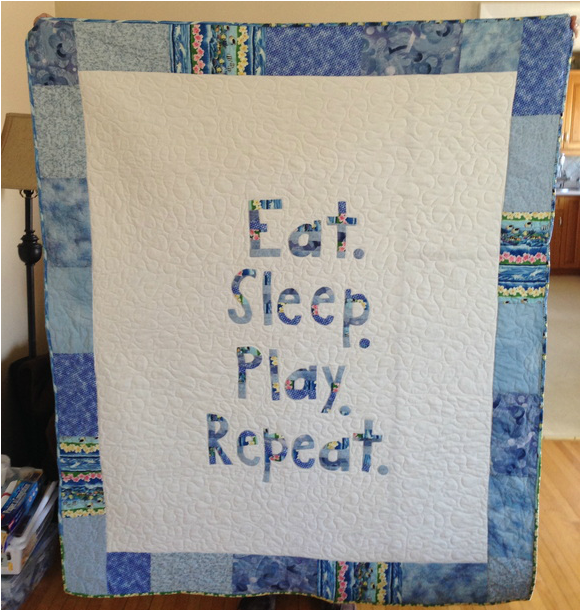 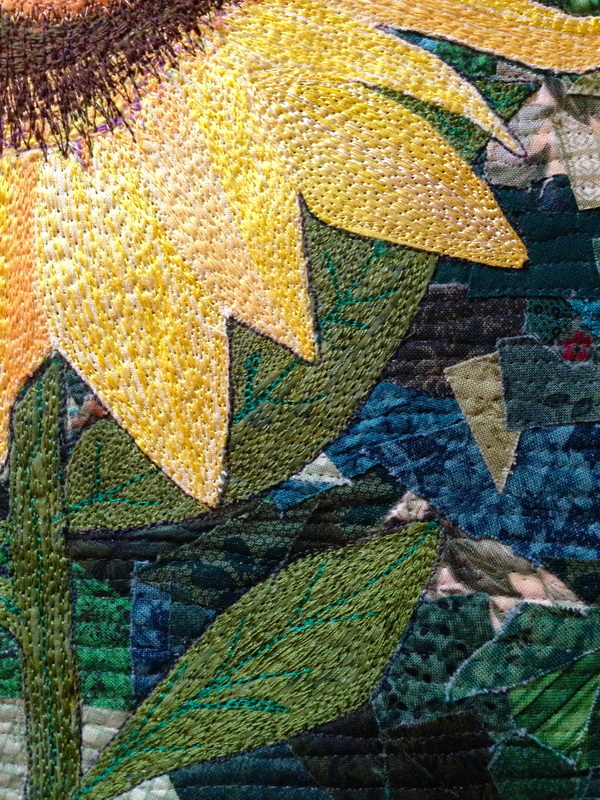 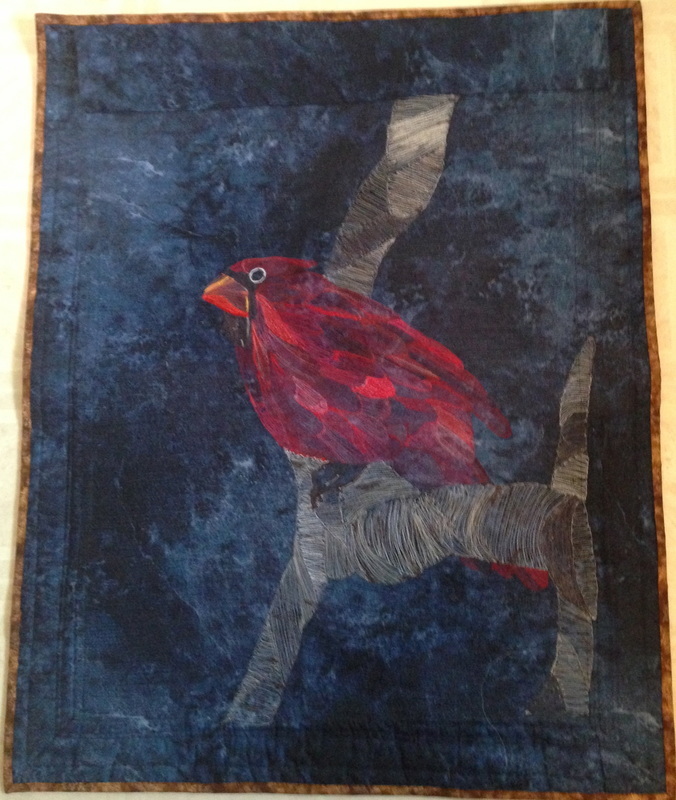 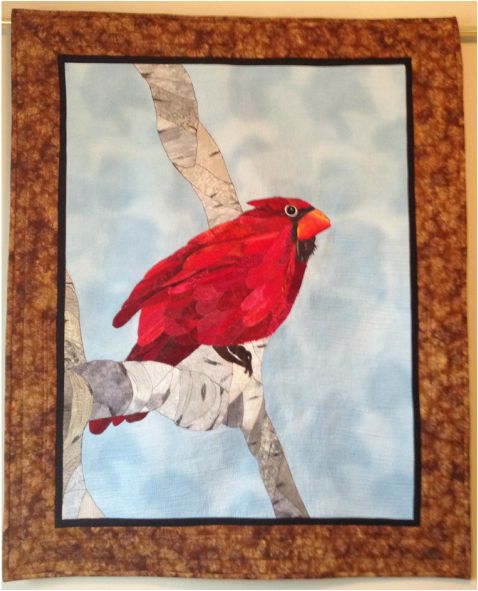 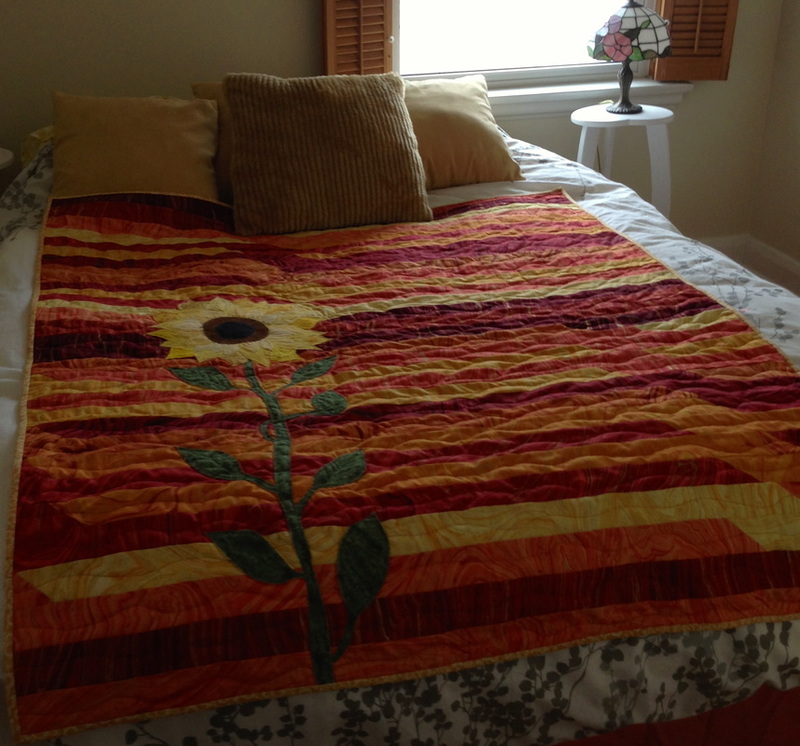 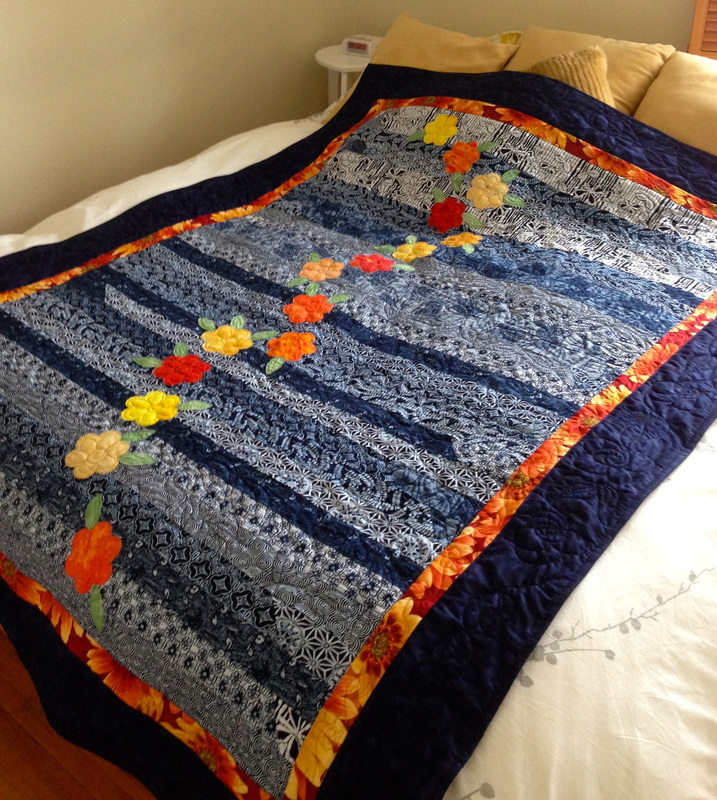 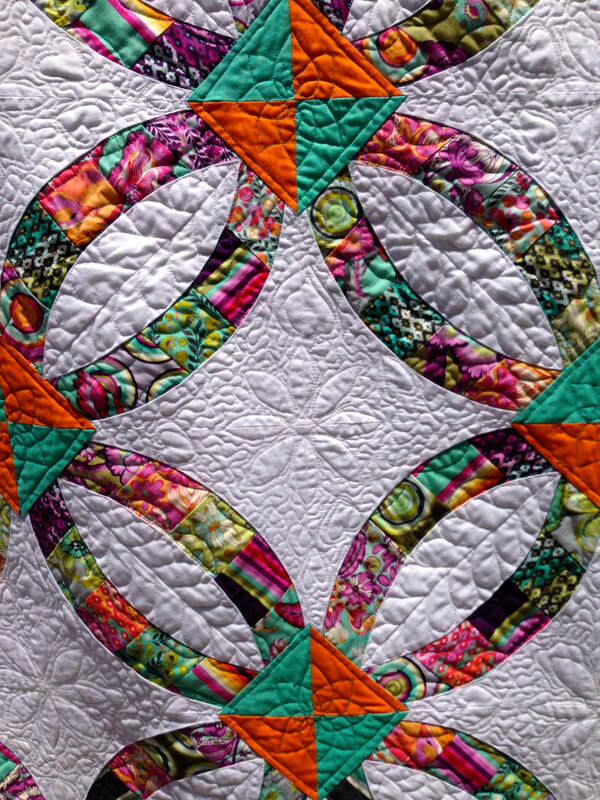 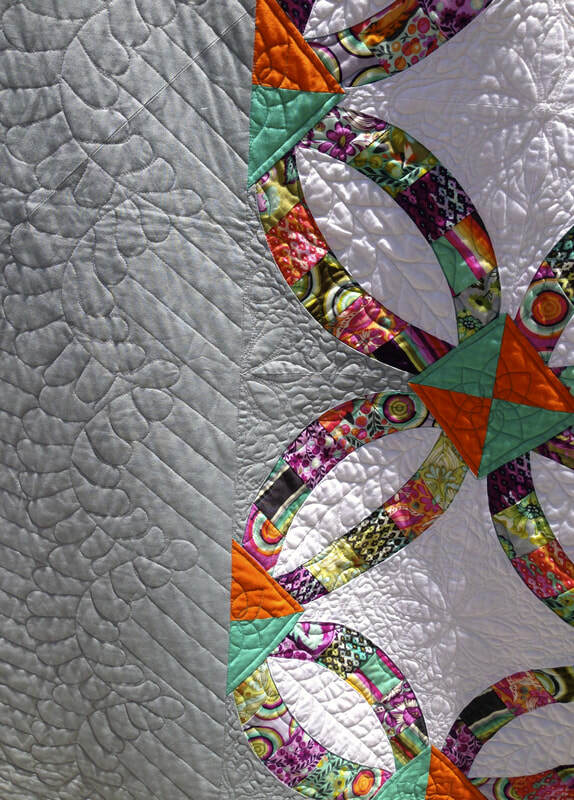 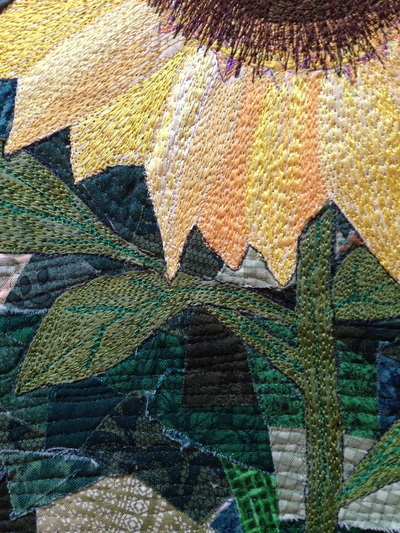 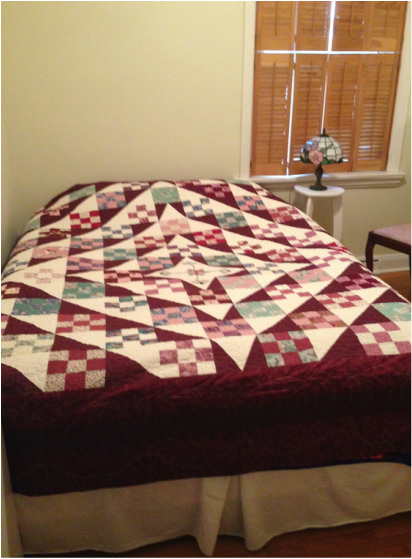 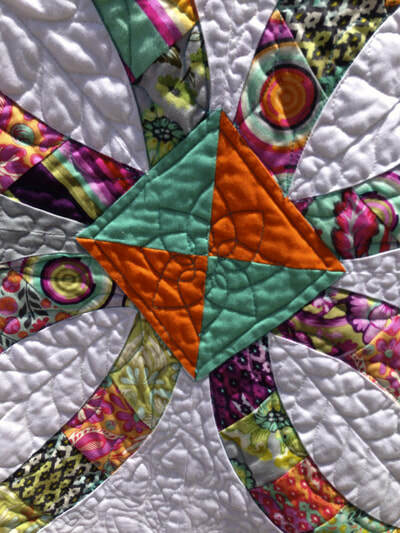 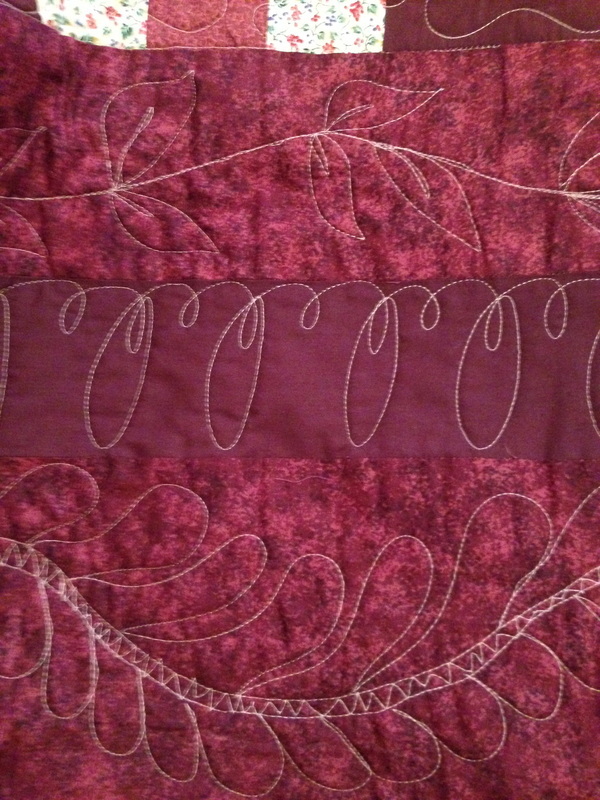 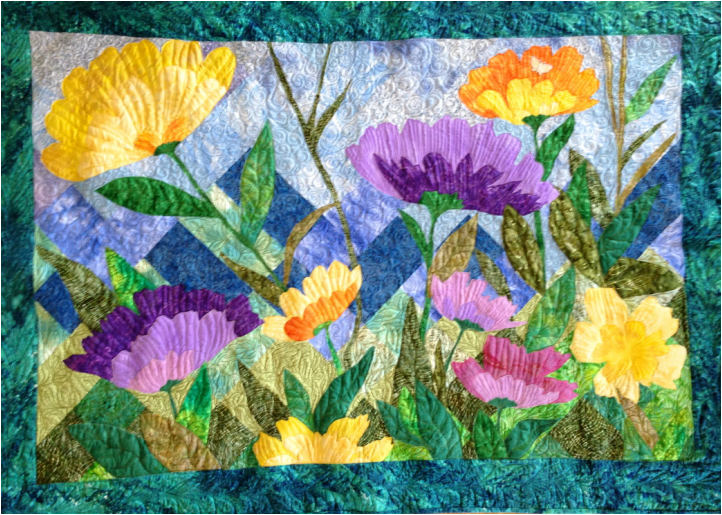 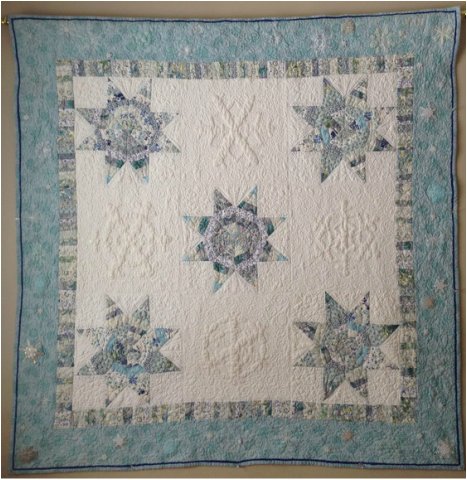 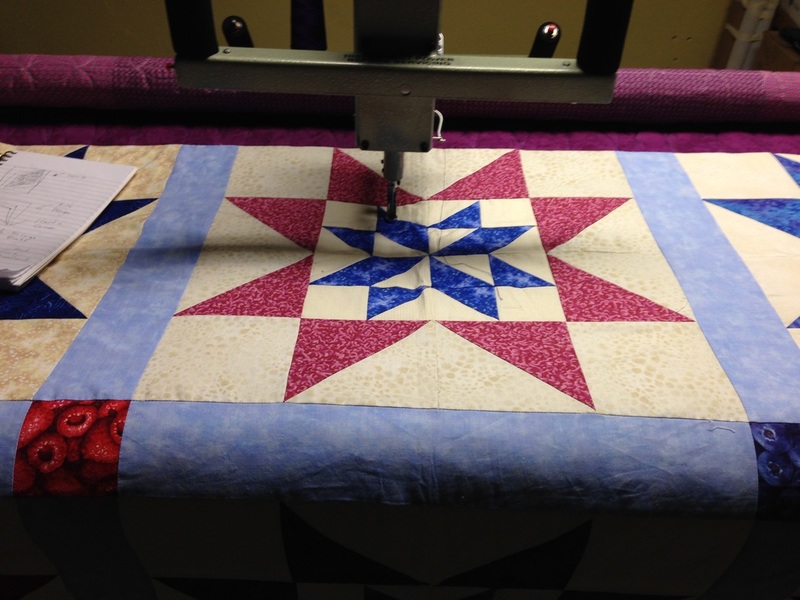 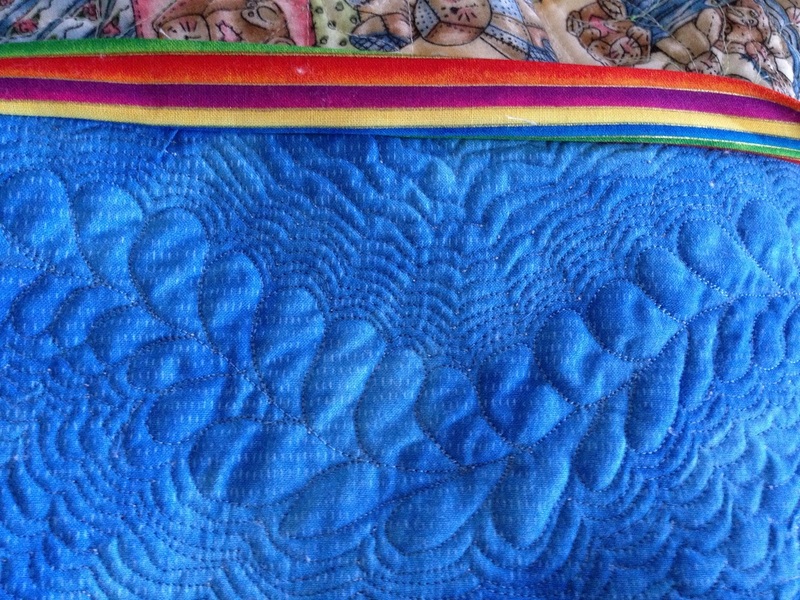 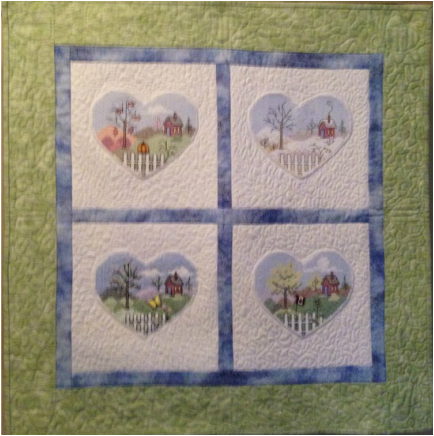 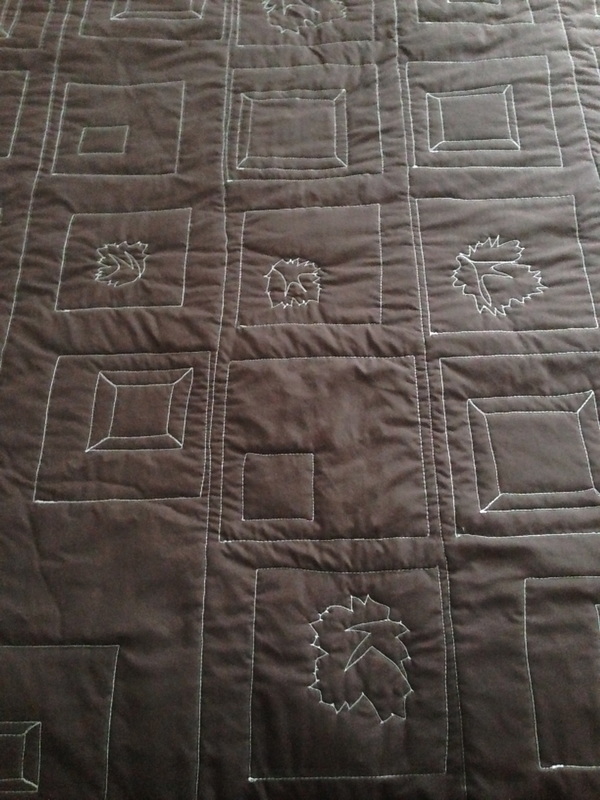 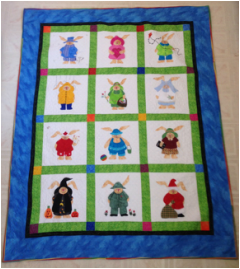 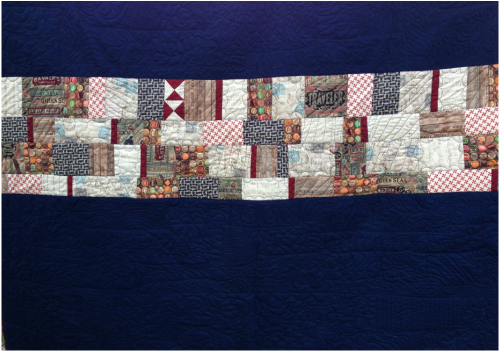 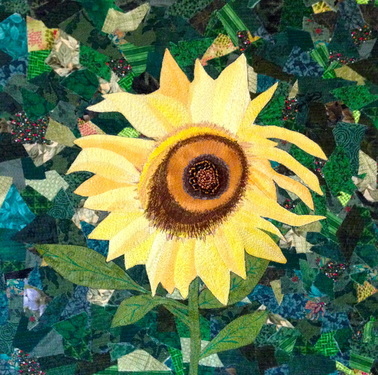 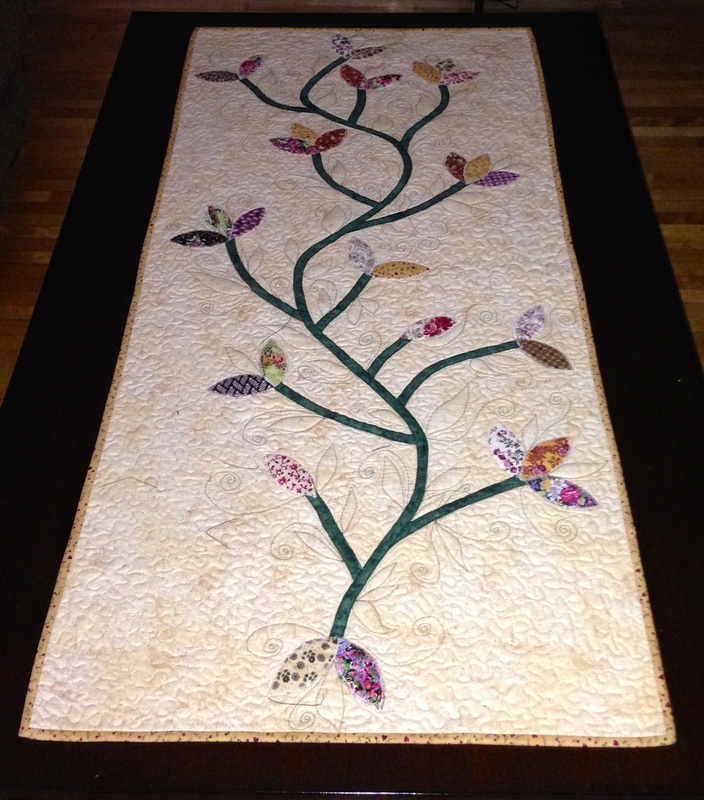 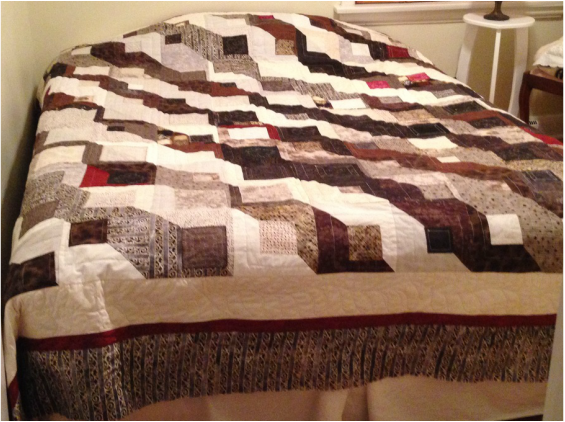 4 Seasons Wallhanging- continuous quilting in the border, custom quilting and Machine Cross Stitch for the blocks.